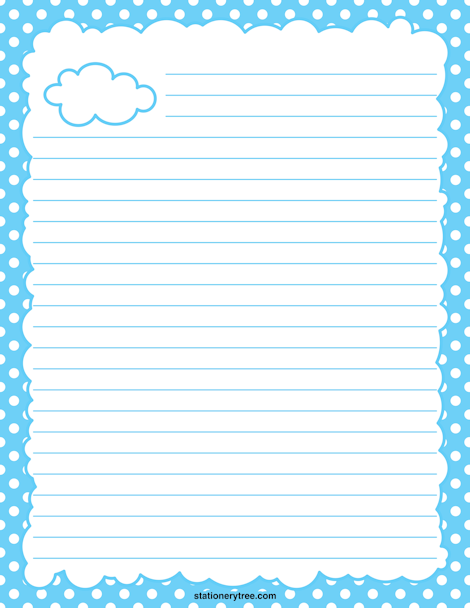 Stationery featuring a cloud graphic in the upper left corner and a cloud-shaped blue polka dot border around the center of the page. This template is available in three versions: blank stationery (without lines), lined stationery, and writing paper for kids to use for learning handwriting. The stationery is sized to work with 8.5 x 11 paper (letter size).